How about this for piling on. 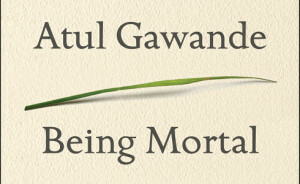 Anyway, Gawande’s book is about aging and dying and how the healthcare system has not done a very good job in actually helping people live better lives during the last phase of their journey. He spends a few pages talking about assisted suicide, and I would disagree with what he says (he thinks it is OK under some circumstances). But regardless of your position, he makes what I think is a compelling point. In America, and other countries, we are making huge strides in palliative care and hospice services. And contrary to popular conception, those treatment modalities are not about helping people die as much as to live as well as they can during those difficult days. People with painful and incurable diseases are choosing to live out their days with family and finding more dignity than they knew was possible. And it is worth mentioning that how we live when we are dying is an important part of the human journey. How the story ends is truly important. Is this debate about presenting options that people want, or imposing your choice on others?